KoreKontrol offers managed hosting for Spryker Commerce OS. Our platform is cloud-native technology, which pushes devops automation and employs continuous integration / continuous delivery (CI/CD) pipelines as first-class citizens. On top of managed hosting with incident handling and SLA, we provide consulting and engineering services for enterprise integration. KoreKontrol creates and manages accounts for its customers. 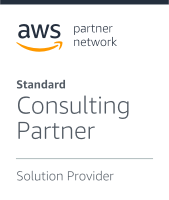 We are authorized to resell AWS resources and member of AWS Solution Provider program. Your machines, your code and your data - all that is located on AWS account which belongs to you. We are responsible for initial setup, operations and billing. For pricing information, contact us using the form below.